While it is true that exercise has a lot of health benefits for the body, it can be very difficult to do simple everyday tasks when you are affected by chronic illness, let alone finding ways to keep fit. 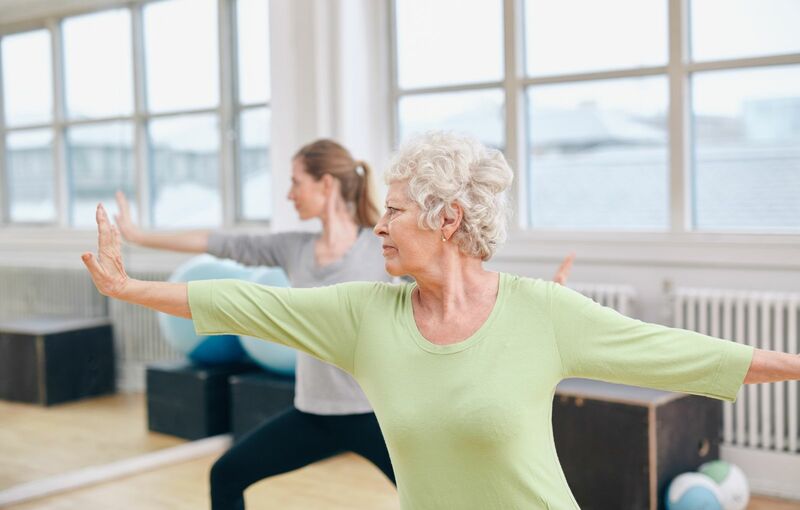 When you have persistent health problems, there are a lot of obstacles which can get in the way of doing regular exercise, such as being affected by pain, being too lethargic to be able to be active for long, or having a limited spectrum of mobility. However, if you feel that you would like to find ways to keep fit despite your chronic illness, then here are a few tips which might help you to work around your condition. You need to get an understanding of what is and isn’t medically viable for you to be doing physically with your health condition. A doctor, or other medical professional such as a physiotherapist, can inform you of what activities are safe for you to be doing without causing yourself anyfurther injury, as well as let you know if there any activities which you should completely avoid. A physiotherapist may also be able to recommend certain exercises which could help to improve your condition, especially if it is something muscular. Once you know it is safe to work on your fitness, you will find you won’t be held back by your concerns regarding making your condition worse in any way. Everyone has different goals when it comes to trying to keep fit. Some people do so because they would like to lose any excess weight which might be affecting their way of life, whereas others like to keep fit just so that they can feel healthy and to make going about daily life a little easier. You may also want to work on your physical fitness as a way to help improve your chronic illness, such as if you have a muscle wasting condition which could be improved by building up muscle strength through exercise. Therefore, the first thing to do is decide on what your goals are, and think about the best ways to achieve them. It is important to bear your condition in mind and to be realistic about what you feel you can achieve. It is important not to push yourself too hard from the get-go, as you don’t want to end up making yourself feel ill or end up in any unnecessary pain from your activities. You need to make sure that you are listening to your body when exercising with chronic illness. If you try to push yourself too hard, you could end up doing serious damage, and could actually make doing any activities at all difficult for yourself in the long run. The idea of ‘no pain no gain’ definitely does not apply when you have a chronic illness, because if you are in a lot of pain, it may indicate that you are doing more harm than good. Make sure to only go as far as you are comfortable with your exercise, and work on increasing your fitness over time and a slower pace, rather than trying to make big changes immediately. If pain from your chronic illness is causing you to struggle, then it might be worth seeking advice from Michigan pain consultants. Don’t become weighed down by the things which you can’t do because of your chronic illness; instead, appreciate all of the things which you can do with your body, and be grateful for all of the ways which it serves you. The more of a positive mindset you can conjure, the better you will feel in yourself, and the easier you will find it to do certain tasks. There are a number of ways in which you can try to create a more positive mindset, such as by practicing gratitude daily for all of the things which are good in your life and recognizing all of the goals which you have achieved. That way, you will be able to focus on what you have achieved, rather than how far it feels like you have to go. Remember that doing something is better than doing nothing at all, so even if you have days where you can only do simple movements, rather than exercising by doing a full out work out, the important thing is that you are still trying.